Republished on Wednesday 29th November 2017: We're bringing this review back from the archives following the announcement of December's PlayStation Plus lineup. The original text follows. 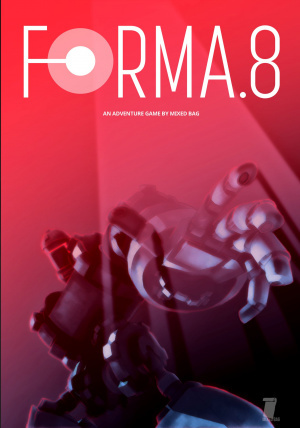 Forma.8 is an atmospheric, Metroidvania adventure game in which you take on the role of a spherical, flying alien. 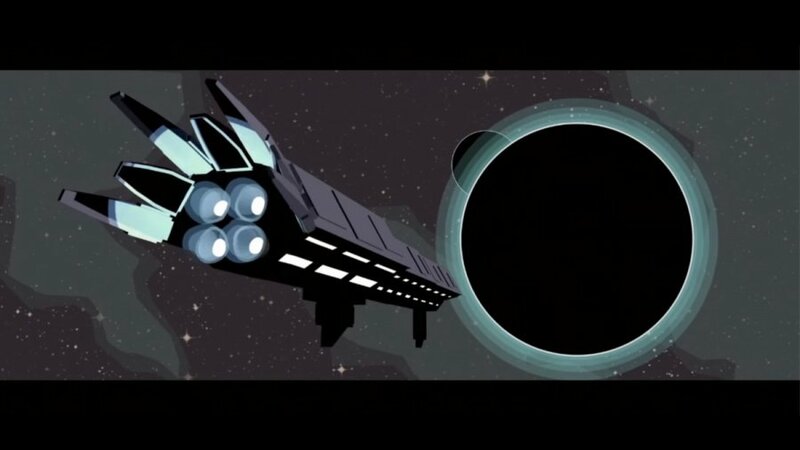 You are deployed from a Mothership with several of your species to explore the surrounding environment; unfortunately, it seems your trajectory was miscalculated and you end up crashing into a mysterious building. Other than the short story cut scene at the beginning, the game really doesn't tell or show you much in terms of guidance. There is none whatsoever: no controls detailed, no arrows pointing you in the right direction, and no voiceover to hold your hand along the way – you're left entirely alone and isolated. The developers have done an excellent job in getting that lonely feeling across as you explore vast open areas, and the purposely slow pace ensures you can take in the beautiful but dangerous world around you. The ambience which encompasses the environments also plays a huge role in making you feel isolated; there is almost no sound throughout the game, the majority being just the sound effects of you or enemies interacting with objects that echo around the spacious areas. 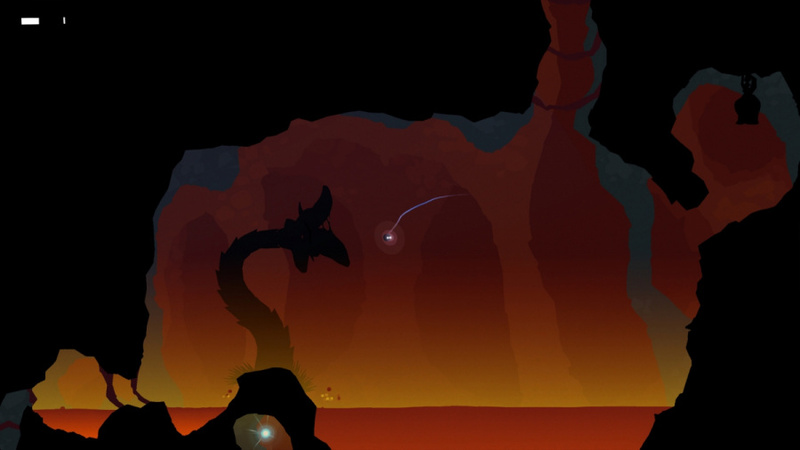 As for the gameplay, you float around similarly to PixelJunk Shooter, dodging enemies, collecting balls of light to restore health, and picking up artefacts that unlock new abilities. The first of these is a short-ranged blast that allows you to push back enemies within your near vicinity. As far as we could tell there was only one main route to progress through the game, however you are free to roam the various areas and take the paths less travelled where many different puzzles, secrets, and collectibles can be found. As you progress through the game more abilities will be unlocked enabling you to backtrack to access previously unexplorable areas. For instance, we unlocked a bomb that we could place down in order to kill enemies. This bomb can be used in combination with the short-ranged blast to create an explosive projectile, however it requires speed and precision to accurately destroy your foes. Using this projectile we were able to defeat big spider-like creatures that were blocking our path to new sections. It feels intuitive in terms of game design; instead of just giving you a missile launcher like other games would, the developer has given you other abilities that require you to use your head in order to figure out their intended purpose. Every environment is littered with pesky aliens that kind of look like Nevi from Gravity Rush; each one has a purple glowing spot which is its weak point. As with Nevi, hitting this weak spot a few times will vanquish your enemy. The enemies come in a big variety of forms: fast flying ones that follow your every move, plants that will spawn in minions every few seconds, and jellyfish that send out a damaging electricity field – these are just a few of the ones we encountered on our journey. There is also the occasional boss fight that will usually involve you using your latest ability in some way to defeat it. The different types of enemies and bosses certainly make every area feel unique and interesting to explore. The visuals are absolutely breath-taking, with an art style that is an excellent cross between abstract art and Badland's stunning silhouettes. There are a variety of different environments to marvel at as you traverse their dangers: lava caves, underwater wonders, mechanical structures, and mountainous backdrops. The game has a few very minor issues, though. The movement speed, although it feels good when you're first exploring an area, it can feel rather sluggish during backtracking sequences. The other is the complete lack of guidance; throughout the whole game there is absolutely nothing to help you. There were several points in the game where we found ourselves scratching our heads for a good while and just had to take a break to think it through. In some particular areas, an option for a hint certainly wouldn't go a miss. 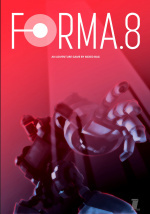 Forma.8 is an aesthetically pleasing, exploration title with a great variety of environments and enemies to discover. 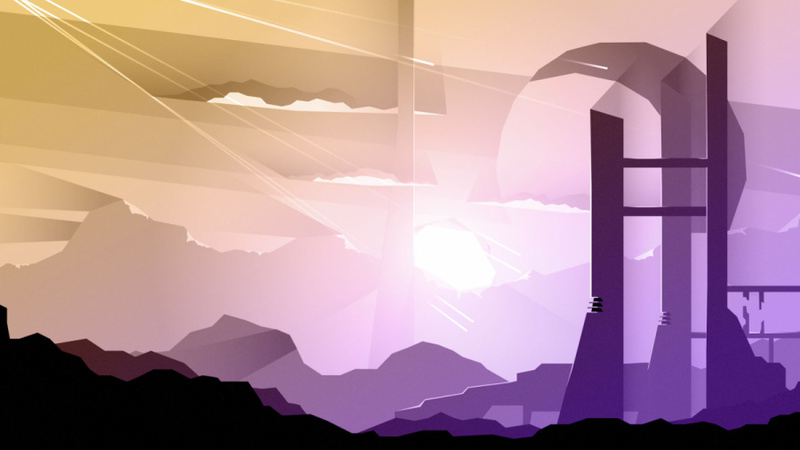 Its presentation is wonderfully abstract, with ambient noise and a sense of loneliness creating a mysteriously enjoyable game that we recommend. Interesting..can't quite justify it at the moment though. Such a shame as I feel I'm missing out on awesome smaller games these days. It's unlikely I'd get Valliant Hearts, Swapper, Fez or Axiom Verge if they released this year, but they are some of my favourite PS4 games. @Simon_Fitzgerald nice review, glad you mentioned Bad lands as its sat on my hdd unplayed as yet. What's the better game out of the two? @Simon_Fitzgerald great review. Is there a world map to access? Does the game track your collectables? Thanks. @themcnoisy I would say although the two games look similar they play very differently. Badlands is fast paced and linear whereas Forma.8 is slow paced and open. Both games take this 2d formula a different way and both come out with excellently entertaining content. @Tonloc27 There is a map that you can access on L1 but it only shows you rooms you have previously entered. As for collectibles they are counted up but it doesn't tell you the exact amount. There is however a progress percentage for each game slot on the main menu. In you all's conclusion, how come you guys never include the cons into it? @Simon_Fitzgerald I read it's on the Vita as well, did you get a chance to try it on that? Is it cross-buy or cross-save? Thanks. @LieutenantFatman It is cross buy for PS4 and Vita. I'm not sure about cross save, I'll have a quick look this evening. @Simon_Fitzgerald Thanks. I might get it when it's on sale, sounds quite fun and a bit different. @Simon_Fitzgerald I may get to try this after all. I enjoyed bad land in the short time I played it so will give this a whirl from the igc. 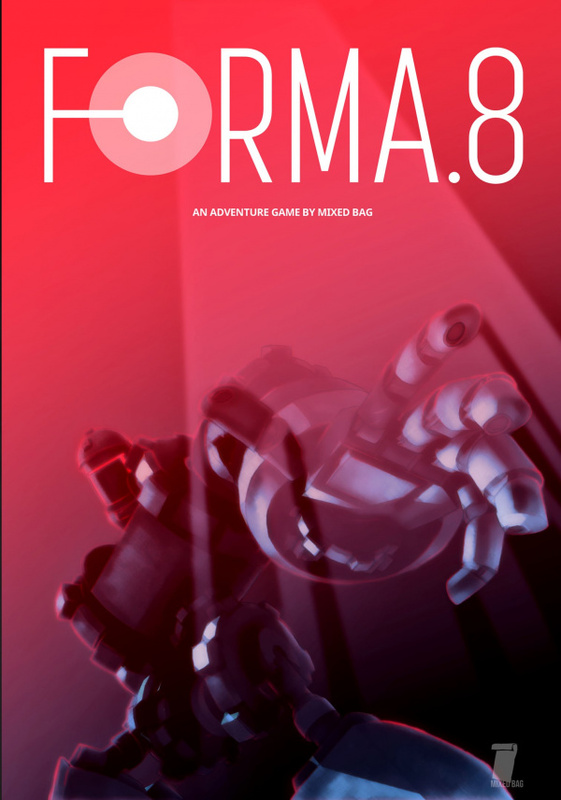 @themcnoisy It's a Metroidvania without the platforming. It's good. @Wesker @Simon_Fitzgerald thanks team, really looking forward to it. I picked it up on Switch, and whilst it's enjoyable enough the slow movement of the character irritates me after a while. I get that its got a very deliberate pace and aesthetic, but for a game that rewards exploration, taking ages to move from point A to B seems a bit odd to me. @AhabSpampurse Yeah I did find it an issue as mentioned in the review above. The movement speed is increased as you progress through the game though but it would have been better to have that option from the start.